In his ten-year ministry, he had put off studying the topic of baptism. Then the baptist pastor felt his heart sink as he began to see how scripture challenged his long-held beliefs. What would prompt him to change his vuews--and find great encouragement in the doctrine of infant baptism? are there good biblical reasons to baptiza the children of believers? What does the Bible say about your children? 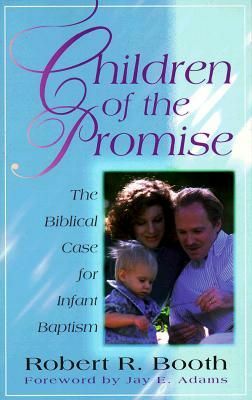 Robert Booth answers these questions by carefully unveiling the covenant promises God to Christian parents and their households.